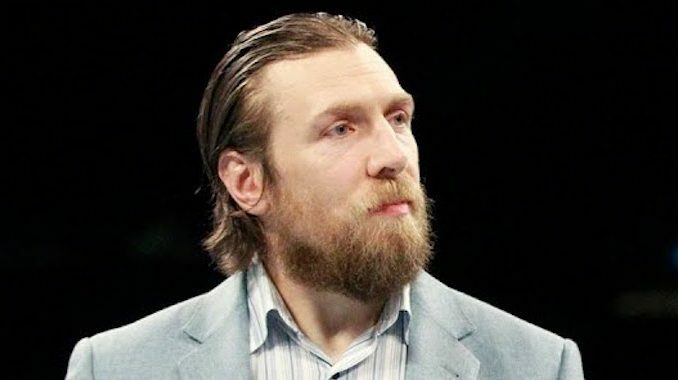 Daniel Bryan discusses his return to the ring and reveals when his WWE contract expires this year, a review of this week's NXT episode, New Japan released Strong Style Evolved card, Rey Mysterio off of this Sunday's card, Dragon Gate launching streaming service, three news shows today from POST! **The debut episode of upNXT with Braden Herrington and Bartender Dave is up on the site with the two reviewing this week’s episode of NXT and bringing up to speed on the show. You can directly subscribe to the upNXT feed with the following URL – http://upnxt.podbean.com/feed/. This show will be released every Thursday on the site and on their own feed. **WH Park and I have our monthly show reviewing the New Japan Cup Final, previewing the card for Long Beach, discussing the All Japan and Dragon Gate streaming services, a look at the Power Dream Series card and Champion Carnival from AJPW, Taiji Ishimori leaving NOAH, and the winner of the New Japan Cup Bracketology contest. **We also have a new edition of the British Wrestling Experience as Oli Court and Benno welcome MLW Radio’s Strigga to run through their live experience covering wXw’s 16 Carat Gold Tournament from earlier this month, the surprise return of Ilja Dragunov, Absolute Andy defeating David Starr in the tournament final, the demise of 5 Star Wrestling and Zack Sabre Jr’s run in the New Japan Cup. This show also has its own RSS feed at http://britishwrestlingexperience.podbean.com/feed/. **On Friday, Wai Ting and I will have a new Rewind-A-Wai show for members of the POST Wrestling Café. On this week’s show, our Espresso Executive Producer is Jay Hunter from OSW Review and he chose the WWF Coliseum Home Video “Smack ‘Em, Whack ‘Em” from 1993. This release features the Ric Flair vs. Bret Hart title switch from 1992 in Saskatoon, the first ladder match in the WWF between Hart and Shawn Michaels, Bret taking on Kamala, The Bushwhackers attempting construction work, and Gene Okerlund goes to a Hibachi restaurant with Yokozuna. All members of the Café will have access to the show on Friday and you can sign up at www.pateron.com/POSTwrestling.com. **This Sunday night, Wai Ting and I will be back with a free show reviewing the “Strong Style Evolved” card from Long Beach, California. **The WWE has released a video of Daniel Bryan preparing his speech before Tuesday’s SmackDown episode in Dallas. No, no. I had somebody say that to me on my Twitter. They said, does your contract expire on September 23rd? And I was like, how do people even know that. But no, my contract actually runs out September 1st, which is actually the day of the All In show, but it’s funny because that doesn’t compute. I was in the Bahrain Comic Con the last two days, and we did Q&As, and at each one, somebody asked me about that. They said, ‘are you going to be at All In’? I’m not. I don’t know what to tell you. But yeah, my contract is up September 1st. **New Japan Pro Wrestling held a press conference on Thursday night to announce the card for Sunday’s Strong Style Evolved show. The press conference also featured an incredible Zack Sabre Jr. presser with the media as he cut promos for 20 minutes on winning the New Japan Cup, stating “out of principle” he was going to win the tournament every year from now on, complaining about warm beer, comparing himself and Taka Michinoku to Bonnie and Clyde, vowing to submit Okada rather than pin him and comparing himself to Brian Eno and his ambient music he is creating. This was a “must see” segment with Zack Sabre Jr. doing a tremendous job verbally of establishing himself as a main event heel with New Japan. This press conference was the exclamation point on a tremendous two-week booking period for Sabre and preparing him for Kazuchika Okada on April 1st at Sumo Hall. **It was also announced at the press conference that Rey Mysterio is off this Sunday’s card in Long Beach due to his partially torn left biceps injury. Will Ospreay will take his place against Jushin Thunder Liger, which is a great backup, and the card looks very good on paper. They will also reveal the Feast or Fired briefcases tonight for Ethan Carter III, Moose, Petey Williams, and Eli Drake. **We didn’t get to the Raw rating from earlier this week and there was curiosity regarding how the Ultimate Deletion performed. The show averaged 3,310,000 viewers over the three hours on the USA Network. It was Raw’s fourth highest number of 2018, trailing last week’s average of 3.35 million, the night after the Royal Rumble, and the massive 25th Anniversary show in January. The first hour started strong with 3,434,000 viewers and kicked off with the Roman Reigns and Brock Lesnar angle with Lesnar finally appearing on the show. The second hour saw a small growth up to 3,472,000 viewers and the third hour dropped 11.4% down to 3,076,000 viewers. The final hour featured the Ronda Rousey video feature and concluded with the airing of the Ultimate Deletion. The third hour should be viewed as a net positive as they stayed above the 3 million mark, and did a slightly better average than the third hour on January 29th, which featured Ronda Rousey’s first appearance on Raw that they saved for the final hour the night after the Royal Rumble. Overall, this makes for two consecutive weeks of strong television viewership from both Raw and SmackDown Live with this week’s SmackDown number greatly enhanced by the news of Daniel Bryan’s return. **The main event of the Impact Wrestling vs. Lucha Underground card on Friday, April 6th in New Orleans will feature Austin Aries and Fenix taking on Alberto El Patron and Pentagon Dark. **Dragon Gate is the latest wrestling promotion to announce the launch of a streaming platform. The Dragon Gate service will have a tiered system where a user can either spend 1500 yen and receive all the live events with their subscription or pay 999 yen per month and only have access to the archives. I would imagine a similar set up to the WWN’s model where you can you can buy the live events on their own and after two-weeks, they are added to Club WWN for subscribers. **Former NFL player Pat McAfee will be part of the NXT Takeover pre-show panel with Charly Caruso and Sam Roberts on Saturday, April 7th in New Orleans. McAfee hosts his own show on SiriusXM and works with Barstool Sports. **The WWE stock closed at $35.90 on Thursday. -There was a pair of good matches on this week’s show with the main event between Adam Cole and Kassius Ohno, and the Dusty Rhodes Tag Team Classic match. -Johnny Gargano showed up in the crowd and attacked Tommaso Ciampa during a segment where Ciampa was tearing up the audience’s Gargano signs. You would think this match has to be announced by next week as we are getting right down to the wire. -In the Dusty Classic, they acknowledged Tyler Bate’s knee injury and aired the website interview with Bate withdrawing from the tournament. The replacement team was Roderick Strong and Pete Dunne, who defeated Oney Lorcan and Danny Burch to advance. It was a very good tag match with Strong and Dunne having loads of potential with a tag run. Both semi-final matches (The Street Profits vs. The Authors of Pain and Strong & Dunne vs. Sanity) will air on next week’s episode to set up the Takeover match. -There will be an announcement on next week’s show by William Regal, which should be the North American title match for Takeover. -Adam Cole defeated Kassius Ohno clean in the main event with the announcers emphasizing how inconsistent Ohno has been and teasing a directional change for Ohno after Takeover. I enjoyed the main event a lot and Ohno serves an important role where he can have great matches with anyone and can build a match to make the audience believe he can win, although he is slotted in a specific role and the crowd is clued in as to what his purpose is with guys like Cole, Velveteen Dream, and Lars Sullivan.